Something you may not know about me: I really love ramen. Something that’s always fascinated me has been taking comfort foods that people typically think of as unhealthy and showing how nourishing they can be. My favorite way to dress up ramen is also the easiest, prettiest, and most wholesome. 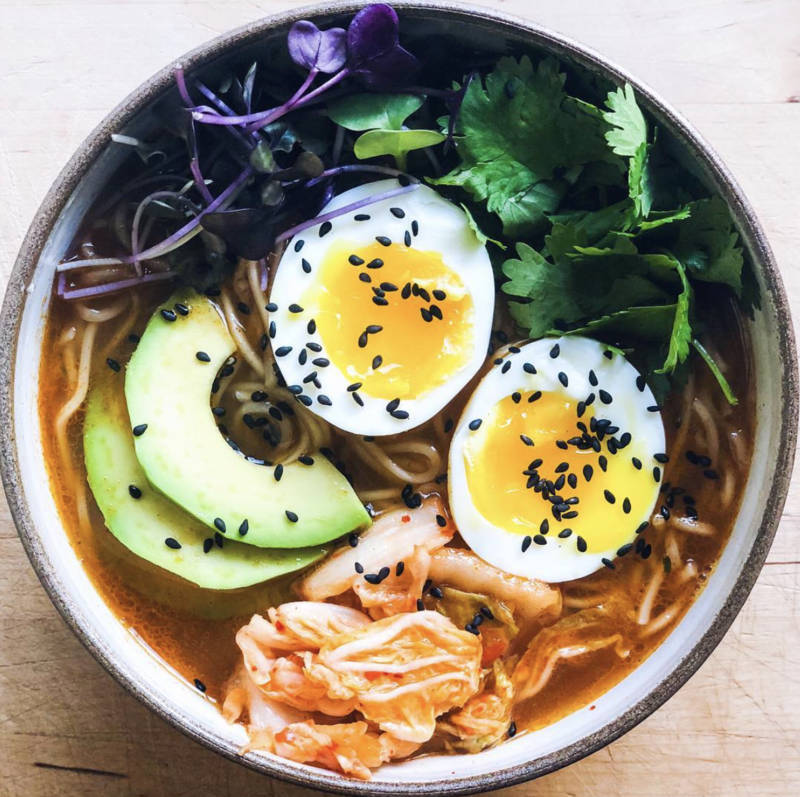 I use Kimchi ramen with has steamed noodles and top with cilantro, microgreens, avocado, kimchi, and an egg topped with sesame seeds. Let me tell you. Click the recipe button for out favorite homemade ramen recipe.